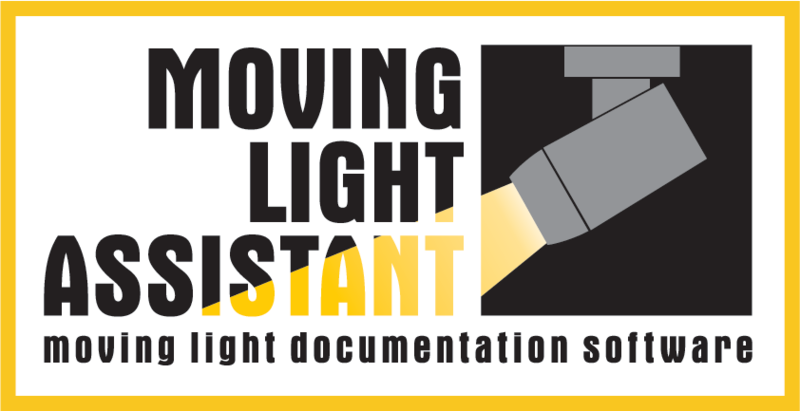 Tips and Tricks in using the Moving Light Assistant application. There seems to be a common theme to users having issues importing grandMA2 console data into MLA. The usual error seen by users is that there is no channel cue data appearing in MLA. This is usually due to the incorrect folder being selected when importing XML files into MLA. You MUST choose the top level folder, usually called gma2. Do not choose perhaps the logical importexport folder. The grandMA2 saves XML files in a variety of folders within the gma2 folder which are required by MLA to correctly import the console data. Details about exporting from grandMA2 console and importing into MLA can be found in the Release Notes pdf. You will need to import the MLA Export macro, select the USB stick as the destination to save the export, run the macro to export the data (this can take some time), take the USB stick from the console and connect to your computer and import into MLA. Having recently used the automated cue photo taking feature on several productions, here are some tips for getting the best results. Understanding your camera and the basics of photography will greatly improve the quality of the photographs taken. If some of the terms used below do not make sense, then check your cameras manual. This goes without saying. Using slower shutter speeds will result in blurry photographs if the camera is not stable. Set the lens to manual focus and focus it yourself before you start. If focus is automatic, the camera may fail to focus in dark scenes and not take a photograph. Automatic focussing can also take a little time which will result in a delay in the taking of the photograph. • Set the Format of the Stored Image to jpeg and as Small as Possible. Moving Light Assistant can only process photographs from the camera stored as a jpeg. Ensure that the camera is not saving the picture in it’s own raw format. Set the image size of the photograph to the smallest. Most digital SLR cameras have a large pixel count and will generate satisfactory results even when heavily compressed. The larger the file generated by the camera will result in large show documents and the longer it will take to download the image from camera. • Use Shutter Priority Shooting Mode. The Shutter Priority shooting mode on cameras will take the picture with a fixed shutter speed. The aperture will be automatically adjusted to obtain the best exposure for the photograph. The advantage of this mode is that the time taken to take a photograph is always the same (give or take a few milliseconds for the camera to calculate the exposure). Using a shutter speed between 1/30 and 1/60 (often displayed as just 30 or 60 on the camera) of a second seem to work pretty well. You can use longer shutter times but you will see more pronounced motion blur. If the shutter time is shorter, the exposure of the pictures will be darker. It is worth taking some test shots to see what the best shutter speed is going to be for the range of lighting levels in the show. The lens you are using will also affect the shutter speed to get the best results. Fast lenses, typically f2.8 and lower will need shorter shutter speeds compared to slower lenses, i.e. f4.0 and above. Avoid using fully automatic shooting modes and aperture priority. In these modes, the time taken to take a photograph could take up to a few seconds, which for fast cued sequences will result in photographs of the wrong moment or blurred photographs. The ISO setting of the camera determines how sensitive the image sensor is. The higher the ISO number, the more sensitive the sensor will be and the better the exposure will be for dark scenes. The trade off, is that pictures may appear ‘noisy’ in the dark areas of the photograph. Often leaving the camera in the automatic ISO setting will yield the best results. There is a column in the Cue List labelled ‘Auto’. If it is not visible, use the Columns toolbar button to add it to the list of displayed columns. It is worth putting it next to the cue number so it is easy to see. You will need to check the checkbox in the ‘Auto’ column for each cue you want the application to photograph. You can select all the cues and check all the ‘Auto’ checkboxes in one go (Click in the cue list, then use Select All from the edit menu to select all the cues, then click an ‘Auto’ checkbox). Cue sequences that are quick with the time between cues less than 1 second may not all be captured on one run of the sequence. You may need to use more than one run of the cues to capture all of them selecting different cues for each pass. In the cue list view, enable the ‘Follow Console’ and ‘Auto Photograph’ buttons in the toolbar. You should also configure your MIDI interface from the ‘Setup’ menu under ‘MIDI Show Control…’. You will need to make sure the ‘Device ID’, ‘Group ID’ and ‘Command Format’ match that of the console you are using. Generally the default settings should work. Connect a compatible camera via USB to your computer and then choose the camera from the ‘Setup’, ‘Camera…’ menu. Connect to the camera. Ensure that no other application are also trying to access the camera (iPhoto or Aperture for example). You must leave the camera window open for as long as you wish to use the camera. If you close the camera dialog, the camera connection will be closed. It is not possible to use the ‘Preview Capture’ option when using ‘Auto Photograph’. You will find a ‘Camera Downloads’ folder appear in the same directory as the application which will contain the original jpeg files downloaded from the camera. These are useful to keep as a backup.